ADOPT A NEPALI DOG | Why buy an expensive breed if you can have all-in-one for free? Why buy an expensive breed if you can have all-in-one for free? 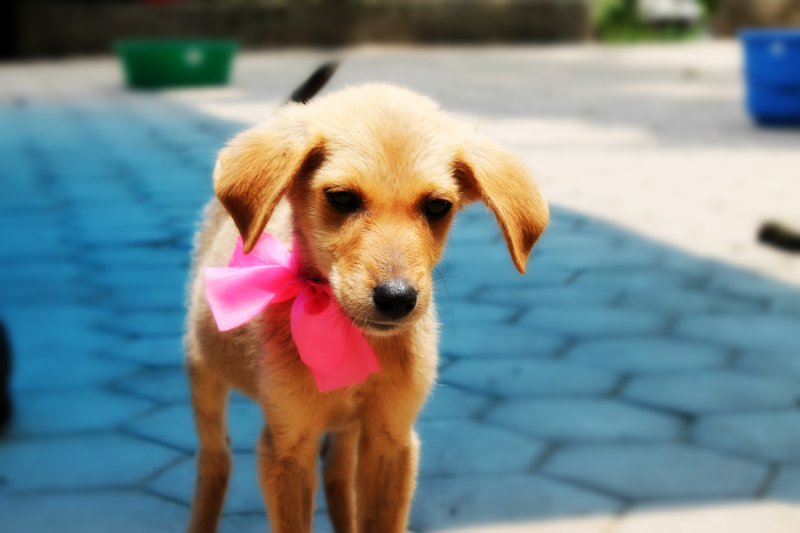 Why adopt a Nepali dog? Interested in adopting a beautiful, strong mixed breed puppy? Check out our Facebook page to find the latest updates on available dogs. If you want to help homeless puppies check out this page. 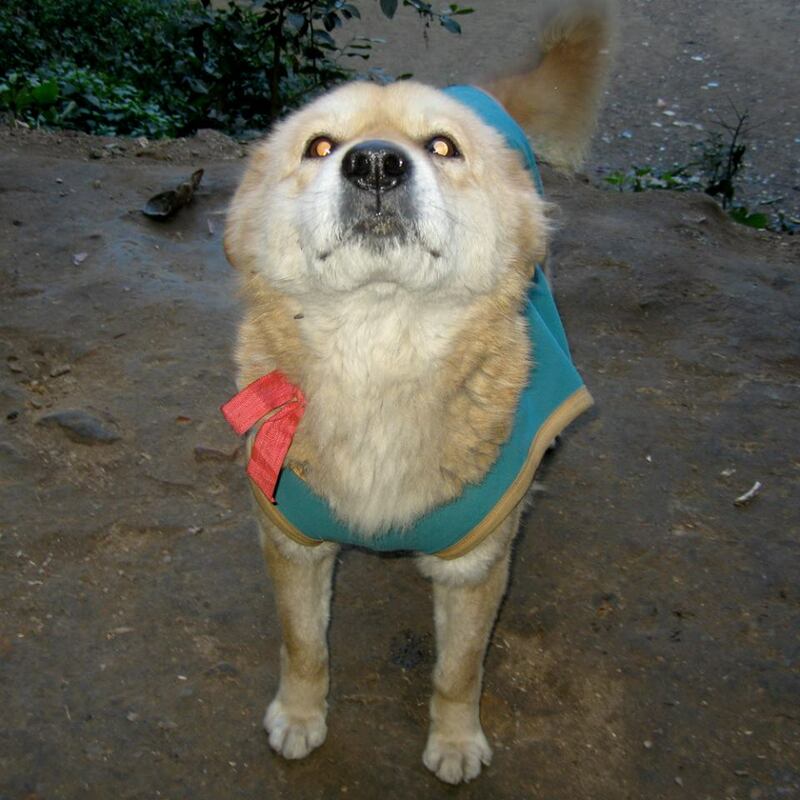 Help Srijana Chettri re-home a rescued dog! Srijana already had 7 dogs in her house when last year she rescued one female dog who was thrown by her owner from height. The dog almost died but after her immense care and love she survived. 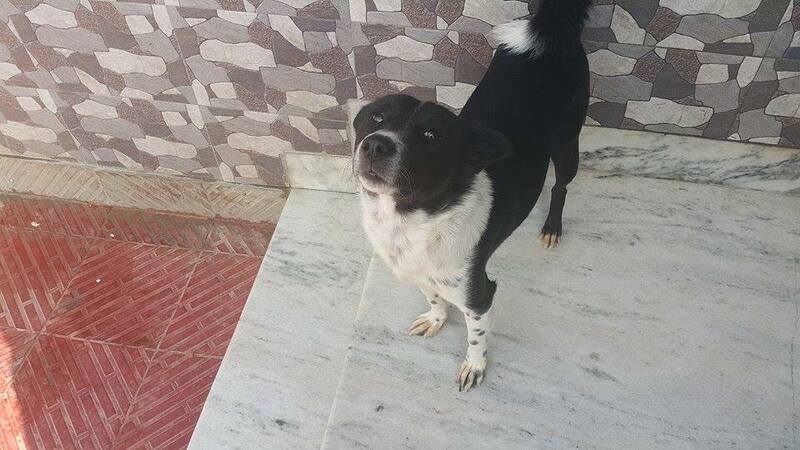 But now as Srijana moves to a new rented house, the landlord is not willing to let all her dogs in. 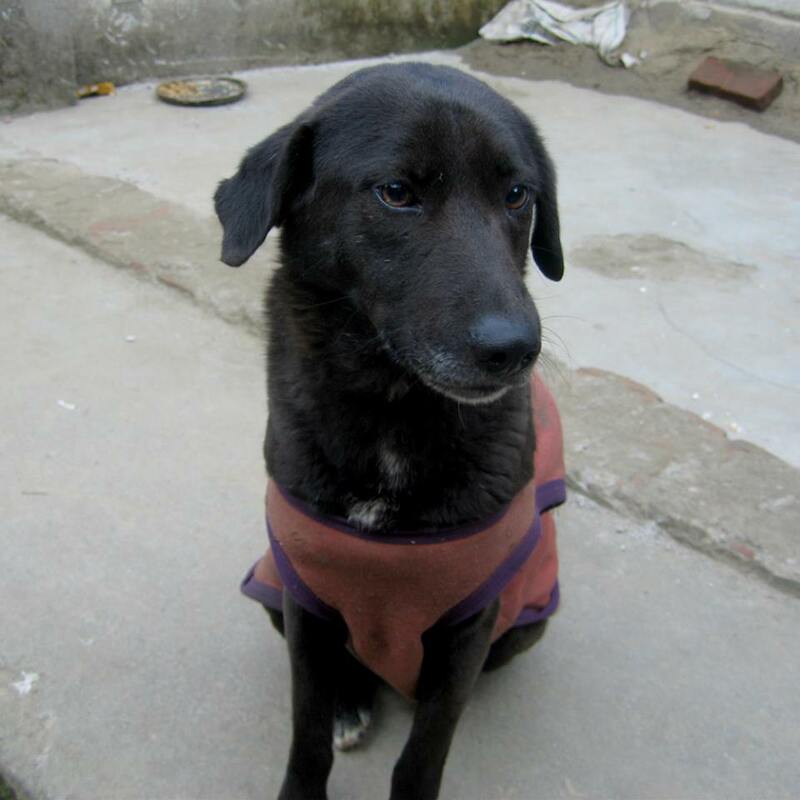 Hence, Srija is desperately in need of a loving home for her dog as she can’t leave her on street to survive again. 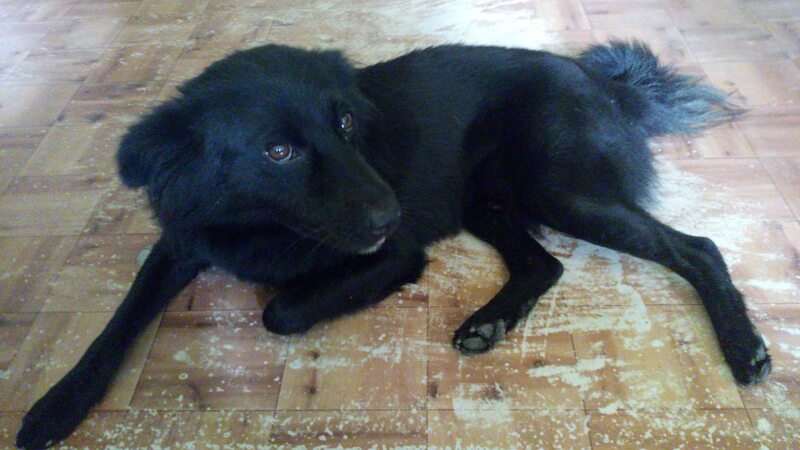 Please help her rehome a rescued dog! Contact her at 9841344997. Because he don’t deserve to die! Since Essica is a busy girl, she can’t be there to look after him all the time and she hopes and pray that some kind family would adopt him asap. The dog is extremely friendly and obedient. Anyone interested can contact her on 9813724011. Kaale (male) and Kaire (female) are healthy, friendly and extremely well behaved. For adoption please contact Samriddhi Bhatta at 9813307716/ 9803146581. Playful souls waits for a home! Blue eyes and a loving heart! These blue eyed young beauties are now there to rule your heart. Born from the same mother, who also is a beautiful marble blue eyed dog rescued from Kirtipur. The mother dog suffered from a major leg tumor which was successfully removed by our team and has been kept under medication. She was bought along with her puppies. The brown pup is a beauty queen with every bit to admire where as the mischievous black beauty is there to make use of your free time as she won’t mind getting her belly rubbed all day long. These two puppies are both one and a half months old female and AN can provide them with free spaying after they gets five months old. 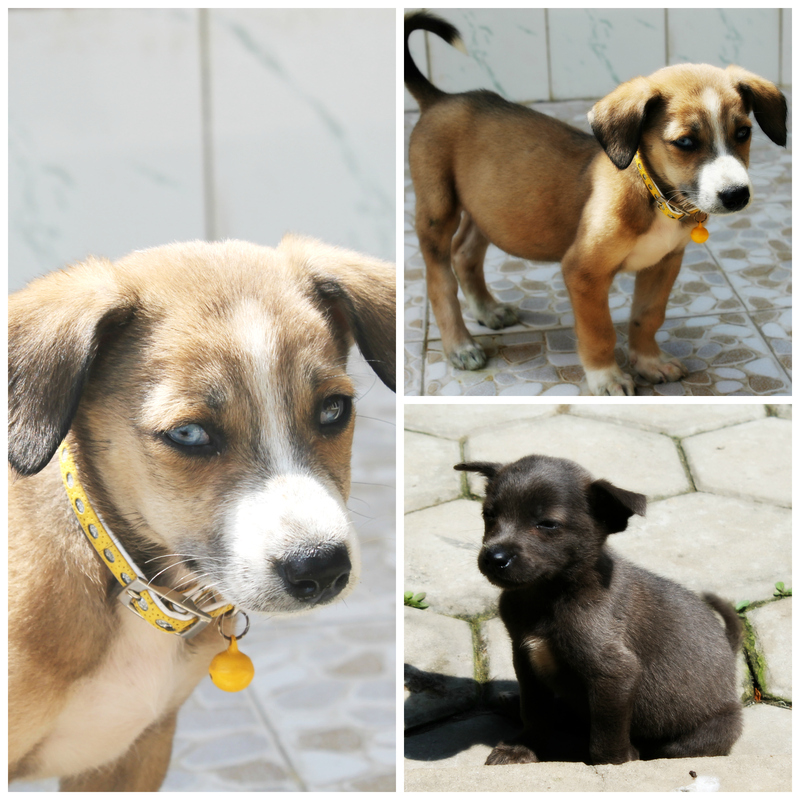 Besides, they will bring with them a cute belt, an adoption certificate and tons of love. 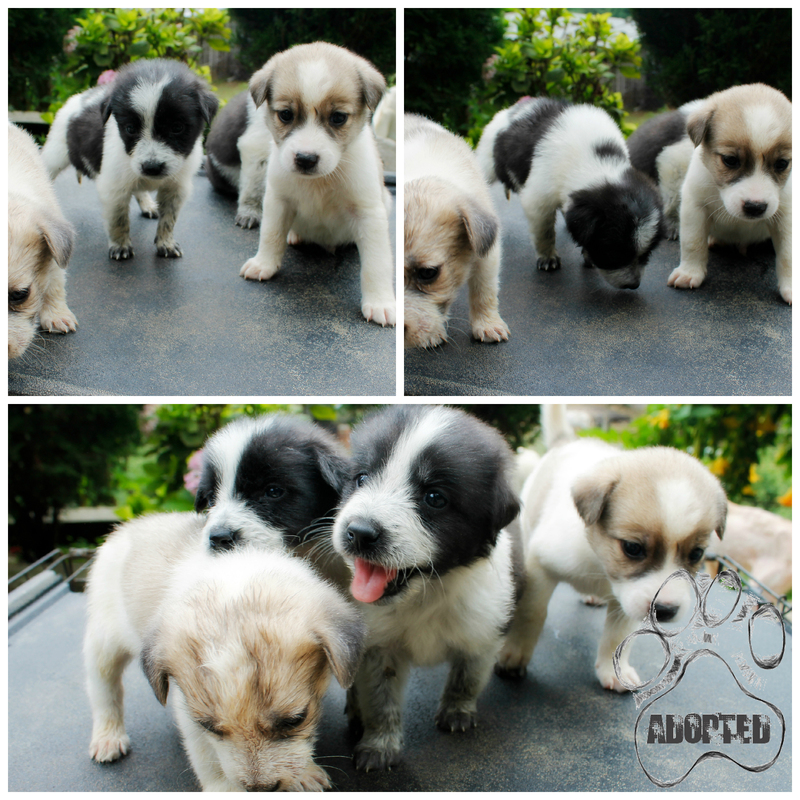 Five cute little puppies are waiting for a caring home at Animal Nepal Chobar Dog Shelter. They are altogether three female pups and two male pups. For the female pups Animal Nepal has the provision for free spaying after the pups are 5 months old. We also offer free treatment of one year. These five little pups are something you will adore. You don’t want to miss the joy of adopting them. HI, my name is ANUP. 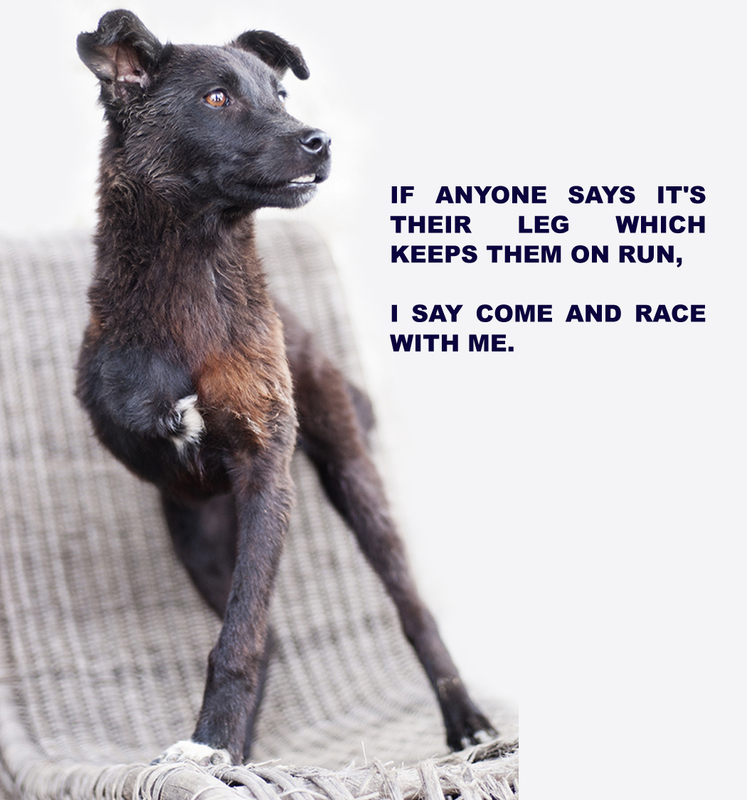 I used to run on my four legs till I met an accident. I lost my leg, but learned how to run even faster. Because it’s not your leg that keeps you on run, it’s your spirit. I can teach you how to be happy even in your misery and how to keep running even in the absence of your leg. Is there anyone who has the HEART to adopt me? 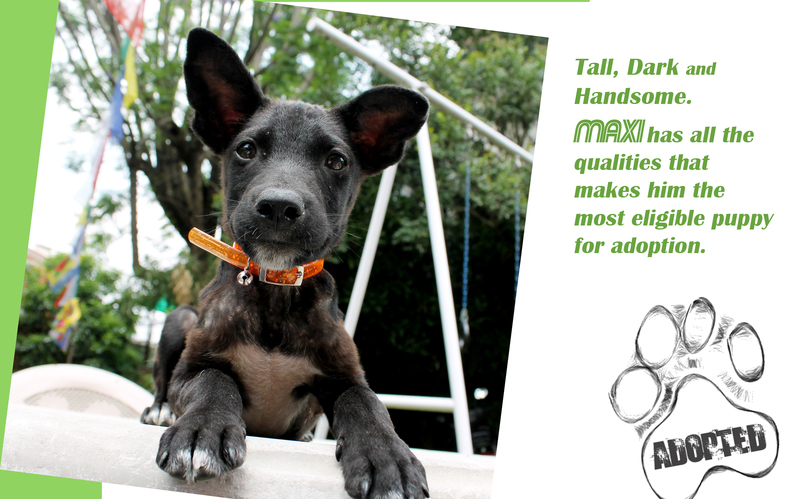 MAXI: The tall, dark and handsome! CHOCO is three months old and a very friendly and adorable puppy in our shelter. She is an active and energetic puppy. She can easily impress anyone with her charm. Choco is vaccinated and if she is adopted the lucky owner will get adoption kit consisting of free cute belt, puppy care booklet and health care including free sterilization at the age of 4 months and also 1 year of free medical care at our shelter.